Here you enjoy shopping at wholesale prices on all brand new Light.100% Customer Satisfaction Guarantee. Flashlight | Led Headlight | Bikelight: We holds one of the widest range of FlashLights available online. Browse our selection of 53 led,48 led,15led,12 led,21 led, gu10.... Superbright flashlights, headlight and bikelight. All of our products achieve international standards such as CE, UL Listed, and/or ISO9001/9002 certification. We 100% secure guaranteed,100% brand new,100% Customer Satisfaction Guarantee, Full manufacturer Warranty, Full 30 days money back, low shipping To Worldwide. This 2 in 1 Bicycle Light + Headlight is ultra bright. Adopting the XML T6 lamp-wick and coming with 1200LM, this high-power Headlamp is perfect for outdoors use, like cycling, climbing, fishing, hunting, etc. With 60 LEDs, it produces ultra bright warm white light. Shaped like a corn, it has a full lighting angle of 360°. Long service life, high luminous efficiency. Energy saving and enviromental friendly. Spotlight, no VU and IR radiation. Designed to fit standard E27 fittings. Low power consumption. Rechargeable 8800mA battery offers powerful power supply. Aluminum alloy casing, waterproof design, long service life. Equipped with an elastic & adjustable headlamp band and 2 plastic rings, very convenient. With 42 LEDs, ultra bright, with lighting angle of 360°. Long service life, high luminous efficiency. Environmental protection, the real green products. Soft light, Spotlight, no UV and IR radiation. Does not contain lead, mercury and other pollution elements. Energy saving, low power consumption. Stable performance. Designed to fit standard E27 fittings. 2 in 1 functions: Bicycle light + Head Light. Made of CREE XM-L T6 LED, ultra bright. Output brightness comes to max 1200 lumens. 4 switch modes: Strong Brightness, Normal Brightness, Weak Brightness and Strobe. 4 switch modes: Strong Brightness, Normal Brightness, Weak Brightness and Strobe. Rechargeable 8800mA battery offers powerful power supply. Aluminum alloy casing, waterproof design, long service life. Color: BLUE. Reflector: Flat Lens. Material: Aluminum alloy + Plastic. Model of LED: CREE XML T6. Switch: End-cap press ON/OFF. Battery: 8800mA Li-ion (included). Input: 100V-240V, 50/60Hz. Output: 4.2V DC/1.A. Plug: US. Over 2 million colors and 120 levels of brightness. With a remote control. You can adjust the brightness of light as you would like. You can change the light into Smooth, Flash or Strobe mode. Easy to install and use. With 263 LEDs, ultra bright, with lighting angle of 360°. Long service life, high luminous efficiency. Energy saving and enviromental friendly. Spotlight, no UV and IR radiation. Does not contain lead, mercury and other pollution elements. Ultra-bright 3 LED spot light. Safe and efficient. Best energy saving, low heat and lower power consumption. Long service life, high luminous efficiency. Great reducing carbon emission, environmentally friendly. Solid state, shockproof. Durable aeronautic aluminum alloy. Spotlight, no VU and IR radiation. 4 main colors: Red, Green, Blue, and White. It provides even and bright illumination across a wide area. With a remote control. Modes: Smooth/Flash/Fade/On/Off. Waterproof design, ideal even for outdoor use. More than two million colors, 120 levels brightness. The colors and brightness can be adjusted by the remote control. It can memorize and restore the previous settings of color, brightness, and flashing patterns. Unique LED control, saving over 30% power comparing to conventional LED lights. Ultra bright and environment-friendly, no UV and IR radiation. Best choice for all outdoor activities. Suitable for hunting, camping, fishing, hiking and house maintenance. Hard anodized aluminium shell With rubber grip. 100 Ultra bright white LEDs light burn life of around 100,000 hours. Low power consumption.is made by high quality aluminium, Best to keep one in your backpack, car, tackle box, toolbox or your bedside table. Supply many different beautiful colors, perfect for decoration and lighting. With an infrared remote controller to control the light. Long service life, high luminous efficiency. Energy saving and enviromental friendly. LED technology adopted. With 108 LEDs, ultra bright, with lighting angle of 360 degree. Direct alternative to the ordinary energy-saving lamps, does not require any conversion. The real green products: soft light; Spotlight, no UV and IR radiation; does not contain lead, mercury and other pollution elements. HHigh tech, ultra-bright LED, operation life up to 100,000 hours, never need replace. Water resisitant, shockproof, and erode prevent design, be your great assistant to cope with bad outdoors environment. luminescence ultra-bright LED, no flicker and lowest power-consumption. Durable 53 LED head lamp, wearing comfortable on your head,workable in rainy days. 100% Brand new and high quality bright LED bulb light! Energy saving, low power consumption, long life expectancy. Ideal for home, office, shop, hotels, restaurants, exhibition lighting, Art galleries and Entertainment lighting, etc. Easy to use and install. Base : E27. Voltage: 220V. Total power: 3.5W. Numbers of LEDs: 60. Light Color: White. 100% Brand New, and Durable Solid PVC Tube and Mini LED Bulbs light. Super Bright , Flexible and waterproof. Easy to bend and shaper for unique designs anywhere. Transparent when not in use. Rope length: 6.6 feet (2 M). Tube diameter: 1cm. Total 60 LED. you can cut it shorter at Intervals. Used Indoor or Outdoor. Simple to install and clean. Here's a cool LED RGB Light bulb that comes with a remote control. The best part is that it's even got flash, strobe, fade, and smooth mode for ultimate party light control. 100% Brand new and high quality LED bulb light! Base : E27. Voltage: 220V. Total power: 3W. Heat Sink Material: Aluminum, Plastic. Lifetime:50,000hours. Color changing : 16 colors. 3 in i Flash lamp torch, 10 LED, UV 5 LED, 1 Laser. Made with a solid aircraft aluminum case, you''ll get a tight, focused beam of light. Three operation modes:10 LED super bright flashlight, 5 LED UV Ultra Violet, red laser pointer. Change modes by pressing button. Powered by 3 x AAA Batteries (not included). 100% Brand New. high brightness, easy bending. It is very durable. Total 120 LED light. Size: 1.5M (L) x 1.35M (W). This fairy light's color: blue. Plug in to controller is 60 cm in distance. Perfect Decoration for party, room, garden, home, shop, hotel and Christmas. The controller have eight different modes of change. 100% Brand new and high quality bright LED bulb light! Energy saving, low power consumption, long life expectancy. Ideal for home, office, shop, hotels, restaurants, exhibition lighting, Display scene, Art galleries and Entertainment lighting, etc. Easy to use and install. Base : E27. Voltage: 220V. Total power: 3W. Numbers of LEDs: 3. Light Color: White. 100% Brand New, Water resistant, suitable for any bicycle to give alert in bad weather. Ultra bright LED light. High intensity LED. Extensive lifetime of LED (100,000 hours). Keep lamp from bouncing . Adjustable inclination. IC controlled 4-modes: 27 LEDs, 48 LEDs, 76 LEDs, 76 LEDs Flash, change mode by pressing the button. 53 LED bulbs, luminance up to 11000-13000, operation life over 110000 hours. Multi-function: bicycle headlight, torch and diving. Quick release bracket, portable attach to your bicycle. luminescence ultra-bright LED, no flicker and lowest power-consumption. Guide your way in the darkness. Battery : 3 AAA batteries (not included). Adjustable head strap held. Keep lamp from bouncing. Adjustable inclination. IC controlled 4-modes: 10 LEDs, 27 LEDs, 53 LEDs, 53 LEDs Flash, change mode by pressing the button. 5 LED 6 Mode Bike Flashlight. Adjustable inclination with elastic head strap. Water, oil and shock resistant. Suitable for any bicycle to give alert in bad weather. Ideal for home, office, shop, hotels, restaurants, exhibition lighting, Display scene, Art galleries and Entertainment lighting, etc. Easy to use and install. Base :E27. Voltage: 220V. Total power: 6.5W. Numbers of LEDs: 67. Light Color: White. 360 degree lighting. Dimension: Approx 31 x 100mm (Diameter x Length ). Weight: Approx 50 g.
100% Brand New, Water resistant, also could use in bad weather. Ultra bright 76 LED light. Perfect for fishing, cycling, camping at night. High intensity LED. Extensive lifetime of LED (100,000 hours). Adjustable head strap held. Keep lamp from bouncing. Adjustable inclination. Long lasting: operation with 4 x "AA" batteries (not included). 100% Brand new and high quality. The Rechargeable Hand Flashlight is made of plastic material. 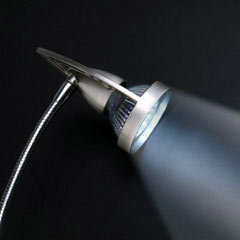 LED Hand Torch uses long-lasting and high-efficiency energy saving LEDs. 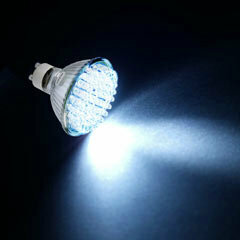 Made with bright four LEDs and can produces a very powerful light beam penetrating deep into darkness. Two work modes: 4 white LED light on for illumination, 1 UV LED light for checking counterfeit money. 100% Brand new and high quality bright LED bulb light! Energy saving, low power consumption, long life expectancy. Suitable for home, restaurants, studio, exhibition lighting, Art galleries and Entertainment lighting, etc. Easy to use and install. Base : E27. Voltage: 220V. Total power: 6W. Numbers of LEDs: 102. Safe and efficient. Light Color: White. Lifetime: 30,000 hours. 2 operation modes: 25 LED mode, 109 LED mode. Ultra right white flash light. Extensive lifetime of LED (100,000 hrs). Operation with 4 x "AA" batteries (not included). Ideal for hiking, camping, fishing or any other outdoor activities. Head diameter: 3.15 inch or 80mm. Net Weight: 320g (without batteries). Color: BLACK. 100% Brand new and high quality bright LED bulb light! Energy saving, low power consumption, long life expectancy. Ideal for home, office, shop, hotels, restaurants, exhibition lighting, Display scene, Art galleries and Entertainment lighting, etc. Easy to use and install. Base : MR16. Voltage: 12V. Total power: 3W. Numbers of LEDs: 3. Light Color: White. 100% Brand new and high quality bright LED bulb light! Energy saving, low power consumption, long life expectancy. Ideal for home, office, shop, hotels, restaurants, exhibition lighting, Display scene, Art galleries and Entertainment lighting, etc. Easy to use and install. Base :E27. Voltage: 220V. Total power: 6.5W. Numbers of LEDs: 67. Light Color: White. Base : E27. Voltage: 220V. Total power: 3W. Heat Sink Material: Aluminum, Plastic. Lifetime:50,000hours . Color changing : 16 colors. Dimension: Approx: 2.6'' x 2''. IR Remote control. Remote control can turn on/off and adjust the colors and brightness. Application: Architectural lighting, home lighting, home theater, studio, private club, entertainment. Energy saving, low power consumption, long life expectancy. Ideal for home, office, shop, hotels, restaurants, exhibition lighting, Display scene, Art galleries and Entertainment lighting, etc. Easy to use and install. Base :E27. Voltage: 220V. Total power: 3W. Numbers of LEDs: 3. Light Color: Red. 360 degree lighting. Dimension: Approx 47 x 75mm (Diameter x Length ). Ideal for home, office, shop, hotels, restaurants, exhibition lighting, Art galleries and Entertainment lighting, etc. Easy to use and install. Base : E27. Voltage: 220V. Total power: 3.5W. Numbers of LEDs: 60. Light Color: White. Lifetime: 50,000 hours. 360 degree lighting. Diameter: approx 74mm. Height: approx 73 mm. 100% Brand new and high quality bright LED bulb light! Rope length: 6.6 feet (2 M). Tube diameter: 1cm. Total 60 LED. you can cut it shorter at Intervals. Used Indoor or Outdoor. Simple to install and clean. Install with Decks, Party, Hallways, Playrooms, Balconies, Walkways, Dancing Rooms, Street Lamps, Garden Houses, Rooflines, Ceilings and so on. This rope light: White. Plug in to controller is 60cm in distance. Suitable for hunting, camping, fishing and other outdoor activities. Portable and ideal as a pocket flashlight. Can act as money detector. UV LEDs light burn life of around 100000 hours Low power consumption. 2 modes of operation - 21 LED and 41 LED which you can easily switch between by pressing the on/off button. Two work modes: 4 white LED light on for illumination, 1 UV LED light for checking counterfeit money. Designed with hidden two pins US plug for charging the LED Rechargeable Torch and LED indicator shows charging status. Perfect for outdoor activities like night flying, camping, sailing, caving, hunting etc. Voltage: 110V. Dimension: Approx: 4.7" long, 1.8" in diameter (the front head). Entertainment lighting, etc. Easy to use and install. Base :E27. Voltage: 220V. 100% Brand new and high quality bright LED bulb light! Total power: 6W. Numbers of LEDs: 108. Light Color: White. 360 degree lighting. Dimension: Approx 35 x 105mm (Diameter x Length ). Weight: Approx 65 g. Energy saving, low power consumption, long life expectancy. Suitable for any bicycle to give alert in bad weather. Quick release bracket. Long lasting: Up to 150 hours operation with 2 x "AAA" batteries (not included). Extensive lifetime of LED (100,000 hours). Adjustable head strap held. Keep lamp from bouncing. Adjustable inclination. IC controlled 4-modes: 10 LEDs, 27 LEDs, 53 LEDs, 53 LEDs Flash, change mode by pressing the button. 50 lights to a string. Battery Powered (DC), plastic, hard-to-break lenses (unlike old-fashioned incandescent lights). 4" spacing between bulbs. Constructed of 26 gauge green wire; 12.5' length from the first bulb to the last bulb. Each string is packed in a poly bag. Product cannot be connected to other sets. The bulbs/lenses are removable and replaceable with secure lamp-lock sockets. Entertainment lighting, etc. Easy to use and install. Base : MR16. Voltage: 12V. Total power: 3W. Numbers of LEDs: 3. Light Color: White. 360 degree lighting. Dimension: Approx 45 x 50mm (Diameter x Length ). Weight: Approx 45 g. 100% Brand new and high quality bright LED bulb light! Energy saving, low power consumption, long life expectancy. Suitable for home, restaurants, studio, exhibition lighting, Art galleries and Entertainment lighting, etc. Easy to use and install. Base : E27. Voltage: 220V. Total power: 6W. Numbers of LEDs: 102. Safe and efficient. Light Color: White. Lifetime: 30,000 hours. Lumen:600 LM. 360 degree lighting. Dimension: Approx 16 x 3.9 cm (L x W). Weight: 65 g.
Ultra bright LED light. High intensity LED. Extensive lifetime of LED (100,000 hours). Adjustable head strap held. Keep lamp from bouncing. Adjustable inclination. IC controlled 4-modes: 10 LEDs, 27 LEDs, 53 LEDs, 53 LEDs Flash, change mode by pressing the button. Long lasting: operation with 3 x "AA" batteries (not included). Easy to use and install. Base :E27. Voltage: 220V. Total power: 6W. Numbers of LEDs: 108. Light Color: White. 360 degree lighting. Dimension: Approx 35 x 105mm (Diameter x Length ). Weight: Approx 65 g. Energy saving, low power consumption, long life expectancy. 100% Brand new and high quality bright LED bulb light! Ultra bright 76 LED light. Perfect for fishing, cycling, camping at night. High intensity LED. Extensive lifetime of LED (100,000 hours). Adjustable head strap held. Keep lamp from bouncing. Adjustable inclination. IC controlled 4-modes: 27 LEDs, 48 LEDs, 76 LEDs, 76 LEDs Flash , change mode by pressing the button. Long lasting: operation with 4 x "AA" batteries (not included). Ideal for home, office, shop, hotels, restaurants, exhibition lighting, Display scene, Art galleries and Entertainment lighting, etc.Easy to use and install.Base : E27.Voltage: 220V.Total power: 3W.Numbers of LEDs: 3.Light Color: White.Illumination Angle: 60 degree lighting.Lifetime: 30,000 hours.Dimension: approx 48 x 60 mm (Diameter x Length). 100% brand new and ultra bright LED light. High intensity 53 LED bulbs, low power consumption, operation life up to 100,000 hours. Adjustable elastic strap, just fit for wearing and keep lamp from bouncing. Battery: 3 x 1.5V AAA batteries (not included). The above black button with 4 modes: 10 leds, 27 leds and 53 leds, yet flash 53 leds. Color: silver. High tech, ultra-bright LED, operation life up to 100,000 hours, never need replace. Water resisitant, shockproof, and erode prevent design, be your great assistant to cope with bad outdoors environment. Suitable for fixing on the bicycle to assure safety. A good accessory for someone who like ride in the night. Advanced Xenon technology. Direct upgrade replacement of stock light bulbs. Give the looks of headlight just like the luxury cars. Easy Installation (Just plug in and replace stock light bulbs), does not require modification. Come with original factory gift box. Best gift for your friend. High tech, ultra-bright LED, operation life up to 100,000 hours, never need replace. 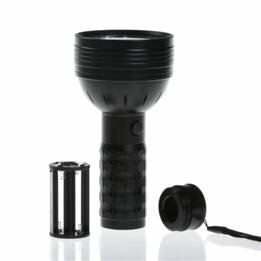 Water resisitant, shockproof, and erode prevent design, be your great assistant to cope with dark outdoors environment. 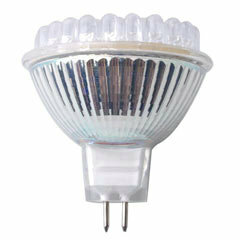 luminescence ultra-bright LED, soft, no flicker and lowest power-consumption. Ideal for hunting, camping, fishing, hiking, travelling, climbing etc. High tech, ultra-bright LED, operation life up to 100,000 hours, never need replace. Shell is made of high strength aero aluminum alloy, anodic electroplate. Water resisitant, shockproof, and erode prevent design, be your great assistant to cope with bad outdoors environment. Your great assistant in the darkness, super bright. High tech, ultra-bright LED, operation life up to 100,000 hours, never need replace. Ultra portable, ideal companion for hunting, camping, fishing, hiking, traveling, climbing etc. Extensive LED lifetime, high intensity 1LED 3 Watt white bright light the latest generation. With the black strap, you can take along it anywhere easily. 100% brand new and ultra bright LED light. High intensity 56 LED bulbs, low power consumption, operation life up to 100,000 hours. Adjustable elastic strap, just fit for wearing and keep lamp from bouncing. Battery: 3 x 1.5V AAA batteries (not included). The above black button with 4 modes: 12 leds, 24 leds and 56 leds, yet flash 56 leds. Color: silver. 53 LED bulbs, luminance up to 11000-13000, operation life over 110000 hours. Multi-function: bicycle headlight, torch and diving. Quick release bracket, portable attach to your bicycle. 4 different operation models: press the black button beside the bicycle head light, 10 LED bulbs; 27 LED bulbs; 53 LED bulbs; flashing. Battery : 3 AAA batteries (not included). Material: plastic. High tech, ultra-bright LED, operation life up to 100,000 hours, never need replace. Water resisitant, shockproof, and erode prevent design, be your great assistant to cope with bad outdoors environment. luminescence ultra-bright LED, no flicker and lowest power-consumption. Multi-function. Brand new brightest Refractor 5-LED 168/194/T10/W5W Wedge bulb (Xenon White). It uses high intensity LED, of which one Flux LED shining in forward direction, and four 3mm LEDs shining sideway. Compared with filament bulbs, extremely low power consumption. Can replace any stock 194 bulb in your car. A flashlight that can generate power by just pressing the button with your fingers. Cool and stylish design, guide your way in the dark. Perfect for outdoors use, simply keep it in you car, RV, boat and with your emergency kit. High tech, ultra-bright LED, operation life up to 100,000 hours, never need replace. Your great assistant in the darkness, super bright. High tech LED flashlight extremely bright NEW. Ultra portable, ideal companion for hunting, camping, fishing, hiking, traveling, climbing etc. Extensive LED lifetime, high intensity 5 x ultra LED white bright light the latest generation. luminescence ultra-bright LED. High tech, ultra-bright LED, operation life up to 100,000 hours, never need replace. Water resisitant, shockproof, and erode prevent design, be your great assistant to cope with bad outdoors environment. luminescence ultra-bright LED, no flicker and lowest power-consumption. Multi-function, guiding your way in the darkness. High tech, ultra-bright LED, operation life up to 100,000 hours, never need replace. Water resisitant, shockproof, and erode prevent design, be your great assistant to cope with bad outdoors environment. luminescence ultra-bright LED, no flicker and lowest power-consumption. High intensity 5 LED bicycle head light and 5 LED taillight. Multi-function, guiding your way in the dark. High tech, ultra-bright LED, operation life up to 100, 000 hours, never need replace. Water resisitant, shockproof, and erode prevent design, be your great assistant to cope with bad outdoors environment. luminescence ultra-bright LED, no flicker and lowest power-consumption. Water resisitant, shockproof, and erode prevent design, be your great assistant to cope with bad outdoors environment. luminescence ultra-bright LED, no flicker and lowest power-consumption. Multi-function, guiding your way in the darkness. IC Controlled 2 operating mode: 7 Leds steady or 7 Leds Flashing. Change the torch angle optionally by a adjustable stand. 100% brand new. Availability is up to 100.000 ( over 11 years) hours of operation. Less wattage by high light - output. Firing time is till to 60 hours duration - operation. Powered by 2 x AA batteries (not included). 4 different operation models: press the black button beside the headlamp. 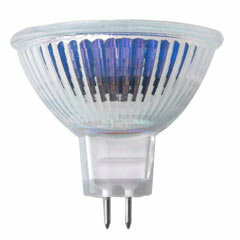 Extensive LED lifetime, high intensity 10 x ultra LED white bright light and 4 central LED bulbs emit seven colors light. Ultra portable, ideal companion for home maintenance, outdoor activities with colorful light, hiking, map reading, night fishing, camping, sailing, caving, hunting etc. 100% brand new and ultra bright LED light. Adjustable elastic strap, just fit for wearing and keep lamp from bouncing. Battery: 3 x 1.5V AAA batteries (not included). The right black button with 3 modes: 1W LED, 1O LED, yet colorful flash 4 leds. Your great assistant in the darkness, super bright. Extensive LED lifetime, high intensity 15 ultra LED white bright light the latest generation. Suitable for home maintenance, outdoor activities, hiking, map reading, night fishing, night flying, camping, sailing, caving, hunting etc. High tech, ultra-bright LED, operation life up to 100,000 hours, never need replace. Water resisitant, shockproof, and erode prevent design, be your great assistant to cope with bad outdoors environment. 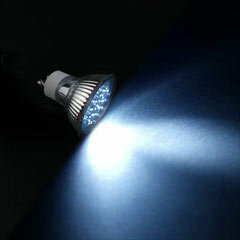 luminescence ultra-bright LED, soft, no flicker and lowest power-consumption. 19 LED bulbs. Multi-function: bicycle headlight, torch and diving. Quick release bracket, portable attach to your bicycle. 4 different operation models: press the black button beside the bicycle head light, first model, 3 LED bulbs; second model, 7 LED bulbs; third, 19 LED bulbs; Forth, flashing. Battery : 3 AAA batteries (not included). Material: plastic. Color: silver. Low Consumption and high brightness. Pure white light. Spotlight, no shadow. This LED light bulb will last about 50,000hours. Designed to fit standard GU10 fittings. Just plug it into your 230volt AC fixture and start to save on power consumption. With a glass protective cover. Material: plastic. 21 LED bulbs, luminance up to 11000-13000, operation life up to 110000 hours. Battery : 3AAA batteries (not included). 4 different operation models (listed below). Multi-function: bicycle head light, torch and diving. Quick release bracket, portable attach to your bicycle. Color: silver. Extensive LED lifetime, high intensity 21 LED bicycle head light and 5 LED taillight. Multi-function, guiding your way in the darkness. Your great assistant in the darkness, super bright, waterproof, shockproof. 100% brand new super bright waterproof, shockproof 21 LED bicycle head light. High tech LED flashlight extremely bright NEW. 21 x ultra LED white bright light the latest generation. Ultra portable, ideal companion for hunting, camping, fishing, hiking, travelling, climbing etc. Especially bright. The led's firing time till 100,000 hours of operation. 1 pair x 24 LED Brake Light Bulbs (2 Bulbs). Size: 3.7 cm (height), 2.2 cm (diameter). Vibration resistant. # Provide longest Life time. # Can be used with either clear or red lenses. # Each bulb contains 24 red LEDs, 18 on the top and 6 around the sides to give all round illumination. # Ultra bright red color. # Greatly Durable. This portable camping light has 24 LED's and runs on 4 AA batteries. With fresh batteries it can be used continuously for nearly 30 hours and the life of the LED's is more than 100,000 hours. With its round design you get light in all directions. This light is perfect for camping, outdoors, or even to light up a dark closet. Water resistance 25 LED headlamp. Battery : 3AAA batteries (not included). 4 different operation models: press the black button beside the headlamp. First model, 3 LED bulbs; second model, 11 LED bulbs; third model, 25 LED bulbs; forth model, flashing. Adjustable strap, adjustable inclination. Light weight and quick release bracket. Easy to install and take off from your bicycle. Increase more safety in the morning or evening, even in cloudy or raining day. Also be used as torch when taking off from the bracket. Power by 3 x AAA battery (not included). Low Consumption and high brightness. Pure white light. Spotlight, no shadow. Anti-static case: protect package. Plastic cover:High quality durale engineering plastic , flame retardant material. This LED light bulb will last about 50,000 hours. Low Consumption and high brightness. Pure white light. Spotlight, no shadow. This LED light bulb will last about 50,000 hours. Designed to fit standard GU10 fittings. Just plug it into your 230volt AC fixture and start to save on power consumption. Come with original factory gift box. 100% brand new and ultra bright LED light. Adjustable elastic strap, just fit for wearing and keep lamp from bouncing. Battery: 3 x 1.5V AA batteries (not included). The right black button with 4 modes: 7 leds, 20 leds and 40 leds, yet flash 40 leds. Color: silver. Less wattage and high light output. One black button with two modes: 21 led light and 41led light. 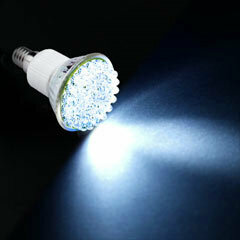 41 LED bulbs produce ultra strong and bright white light can be seen from one miles away. Battery: 4pcs x AAA battery (will not be included). Material: metal of aeroplane - aluminium,silver anodization processed splashed water-and shock- proof. Low Consumption and high brightness. Pure white light. Spotlight, no shadow. Anti-static case: protect package. Plastic cover:High quality durale engineering plastic,flame retardant material. Cross-ventilation holes on the plastic cover insure low operating temperature,extend bulb's use life. This LED light bulb will last about 50,000 hours. Bulb base type: GU10. 60 LEDS. Diameter: 60MM. Life time: 50,000 hours. Power: 1.5W - 2.4W. Angle: 40°- 45°. Luminescence: 10000 - 12000 MCD. Operating temperature: -40°C ? +95°C. Operating voltage: 230V. Just plug it into your 230volt AC fixture and start to save on power consumption. Come with original factory gift box. The led''s firing time till 100,000 hours of operation. Less wattage and high light output. Colour: silver. Two modes: 22 LEDS and 68LEDS optional. Material: metal of aeroplane - aluminium,silver anodization processed splashed water-and shock- proof. Extreme high beacon - duration with 4 x AAA batteries (not included). 2 tyre valve covers with built-in LEDs. If you want to add that personal touch to your Car, Bike - lighting is one of the best ways. They are self contained with light & motion sensors, LEDs, and replaceable built-in watch batteries. When it is dark and your wheels start to move, they automatically light up creating a solid disk of light that appears to hover above your wheels. HID look headlights,12V, 55W Input. Color Temperture: 5000k. 100% Brand New direct from the Factory. This bulb works on any vehicle which lightbulb application is H4. Easy installation: Plug and Play, no tools needed. The bulb model of your vehicle are stated on the headlight cover also the Owner's Manual. Bulb base type: MR16. 21 LEDS. Diameter: 50MM. Life time: 50,000hours. Power: 1.3W. Angle: 20°. Luminescence: 21 x 16.000mcd. Operating voltage: 12V. Designed to fit standard MR16 fittings. Just plug it into your 12volt AC fixture and start to save on power consumption. Come with original factory gift box. Brand new MR16 38 LEDs, original color packing box. High quality, effective and energy-saving, low heating, long service life. Low power consumption, save your money. Glass cover for effective protection. Color temperature: Pure white, 5000 - 6500K. Color temperature: Pure white, 5000 - 6500K. Long service life: Up to 50, 000 hours, Light assembling, no shadow. Power: approx. 2.28W. Single LED luminosity: 14, 000 - 16, 000 MCD. Angle: 30° to 45°. Operating temperature: £­15 ¡« + 65 ¡æ. Voltage: 12V. Diameter of sigle LED: 3 mm. Powered through your own muscle. No battery required, eliminate the traditional need of the battery. No environment pollution. Dynamo LED Flashlight with super bright, stylish design, guide your ways in the dark. High tech, ultra-bright LED, operation life up to 100,000 hours, never need replace. High tech, ultra-bright LED, operation life up to 100,000 hours, never need replace. Water resisitant, shockproof, and erode prevent design, be your great assistant to cope with bad outdoors environment. 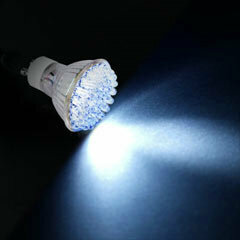 luminescence ultra-bright LED, soft, no flicker and lowest power-consumption. Keeping you safety in the darkness and early morning. A friendly accessory for camping and hiking. Low Consumption and high brightness. Pure white light. Spotlight, no shadow. This LED light bulb will last about 50,000hours. Designed to fit standard E14 fittings. Just plug it into your 230volt AC fixture and start to save on power consumption. Come with original factory gift box. Brand new MR16 48 LEDs, original color packing box. High quality, effective and energy-saving, low heating, long service life. Low power consumption helps saving money. Color temperature: Pure white, 5000 - 6500K. Long service life: Up to 50, 000 hours, light assembling, no shadow. Power: approx. 2.28W. Color temperature: Pure white, 5000 - 6500K. Long service life: Up to 50, 000 hours, Light assembling, no shadow. Power: approx. 1.2W. Single LED luminosity: 14, 000 - 16, 000 MCD. Angle: 30° to 45°. Operating temperature: £­15 ¡« + 65 ¡æ. Voltage: 12V. Brand new MR16 20 LEDs, original color packing box. High quality, effective and energy-saving, low heating, long service life. Low Consumption and high brightness. Pure white light. Spotlight, no shadow. This LED light bulb will last about 50,000hours. Designed to fit standard GU10 fittings. Just plug it into your 230volt AC fixture and start to save on power consumption. Come with original factory gift box. Bulb base type: GU10. 20 LEDS. Diameter: 50MM. Life time: 50,000hours. Power: 1.2W. Angle: 20°. Luminescence: 20 x 16.000mcd. Operating voltage: 230V. Designed to fit standard GU10 fittings Just plug it into your 230volt AC fixture and start to save on power consumption. With a glass protective cover. Come with original factory gift box. Designed to fit standard GU10 fittings. Just plug it into your 230volt AC fixture and start to save on power consumption. Come with original factory gift box. Bulb type: GU10. 38 LEDS. Diameter: 50MM. Life time: 50,000hours. Power: 1.4-2.28W. Luminescence: 456000mcd. Operating voltage: 230V. High intensity durable 3 Led lamp, extensive LED lifetime. Your great assistant in the darkness, super bright, waterproof, shockproof. In the darkness the shake sensor will make the led lamp flashing when bouncing. Keep the lamp steady light when your bike make a brake suddenly. Suitable for fixing on the bicycle to assure safety.